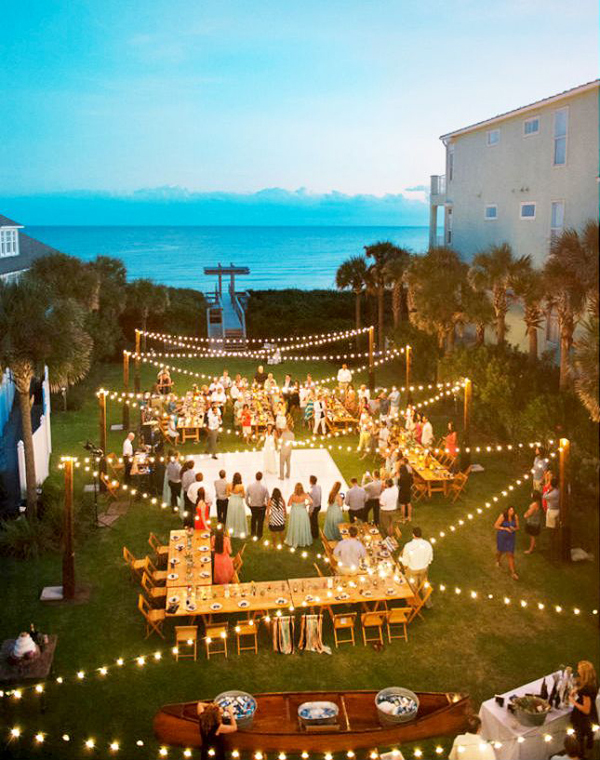 I remember the first time I stumbled upon Coastal Bride, Gillian’s beautiful wedding blog and literally spent hours gushing over all the gorgeous weddings along the Southeast coast of the United States. 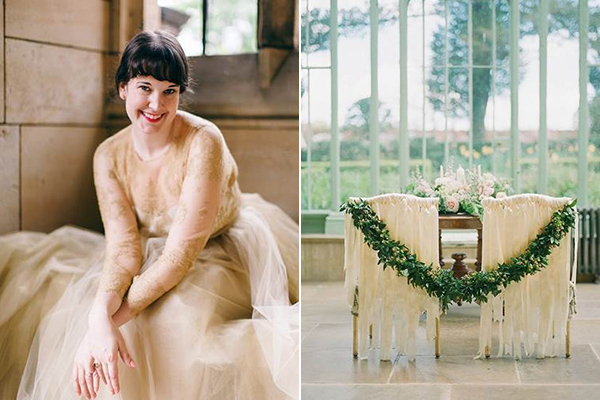 The colors, the style and all the original trends in floral, décor and fashion she features on her wedding blog are truly captivating! 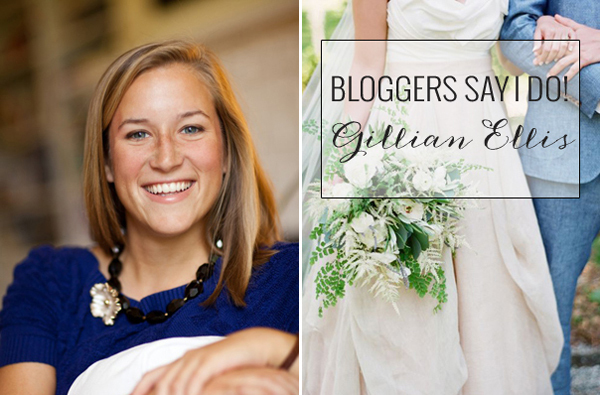 I am so happy today that Gillian said “I do!” and is sharing with us her thoughts about her dream wedding! 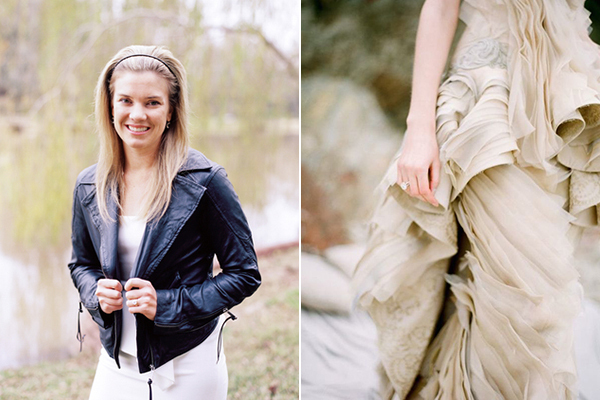 I have worked in the wedding industry as a photographer (and now also a blogger) for over 5 years. 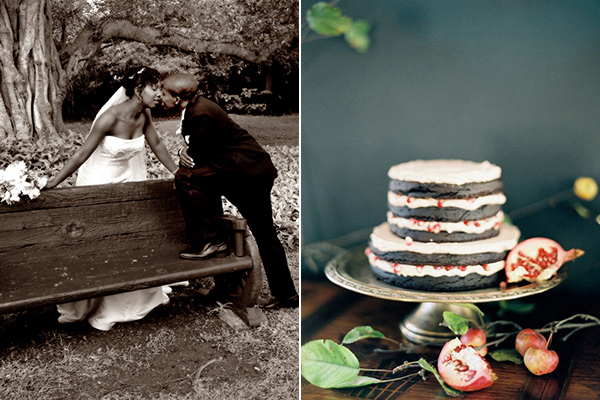 I have photographed over 100 weddings, from classic ballroom affairs to backyard DIY weddings. I have seen them all yet funnily enough have never given much thought to what I would want! 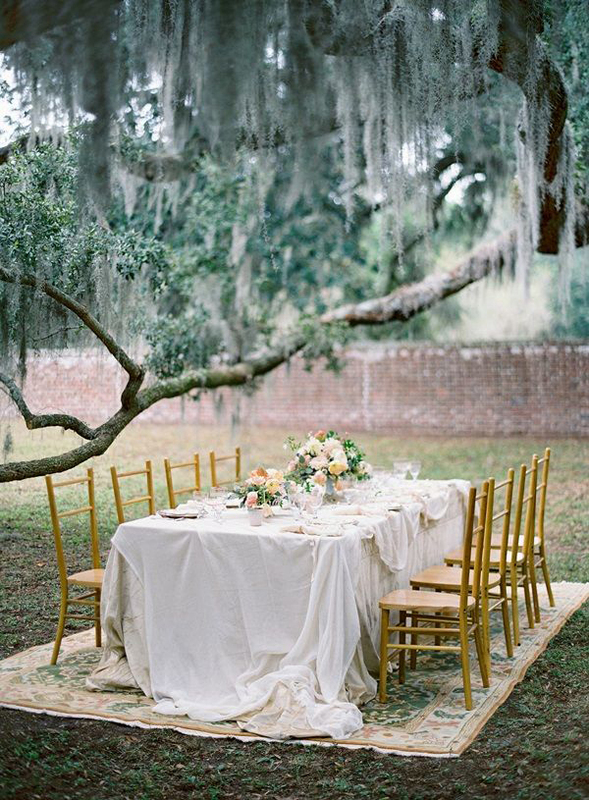 My dream wedding would only have about 50 guests and would be an intimate and warm dinner party. I love to throw parties and it is always important to me that my guests feel welcome and have a good time. This would be a huge theme for me, as I would want to make sure each person there felt included and important. 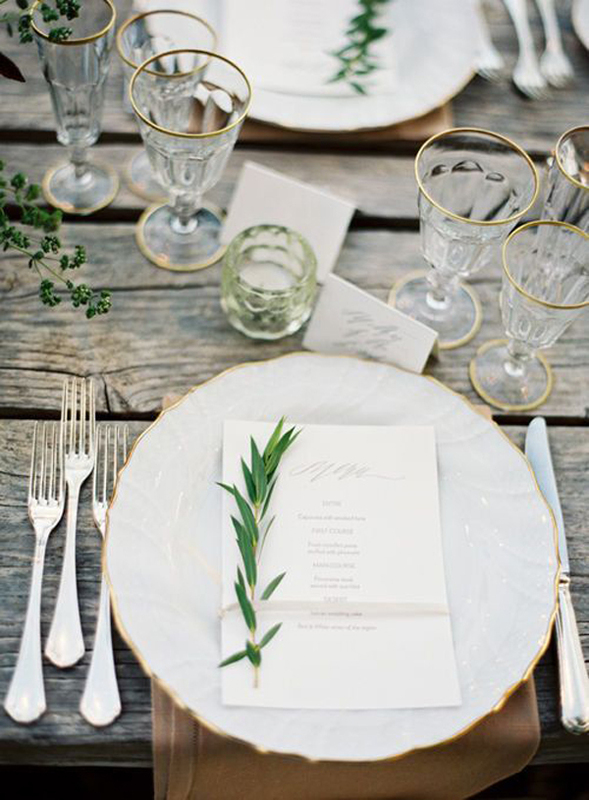 The décor would be natural, organic and coastal with muted tones and fresh botanicals. 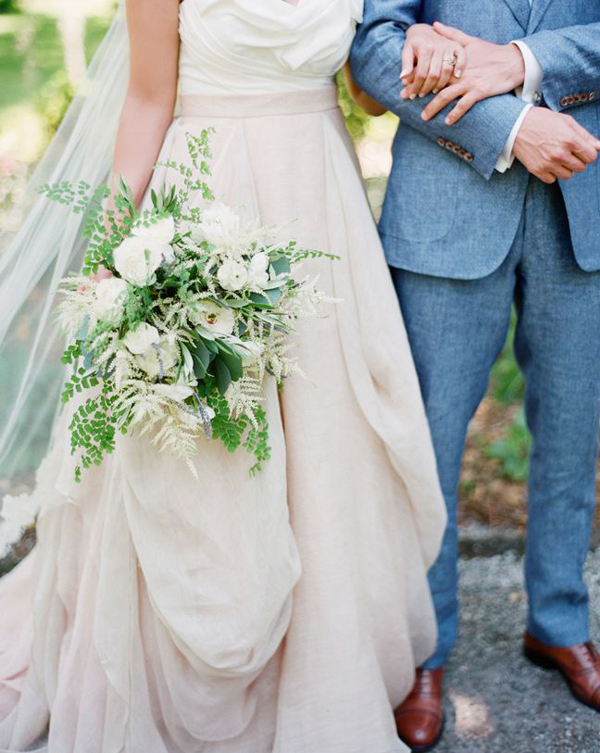 I love a feminine color palette with a mix of moody blues and greys. I would definitely use cream, blush, blue-ish grey, and copper. 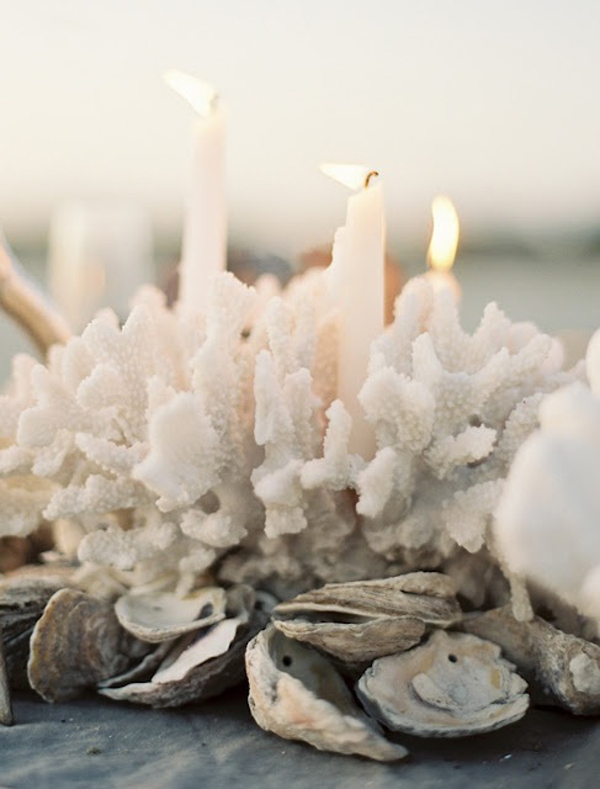 I would love to mix in coastal elements like oyster shells and pieces of coral. 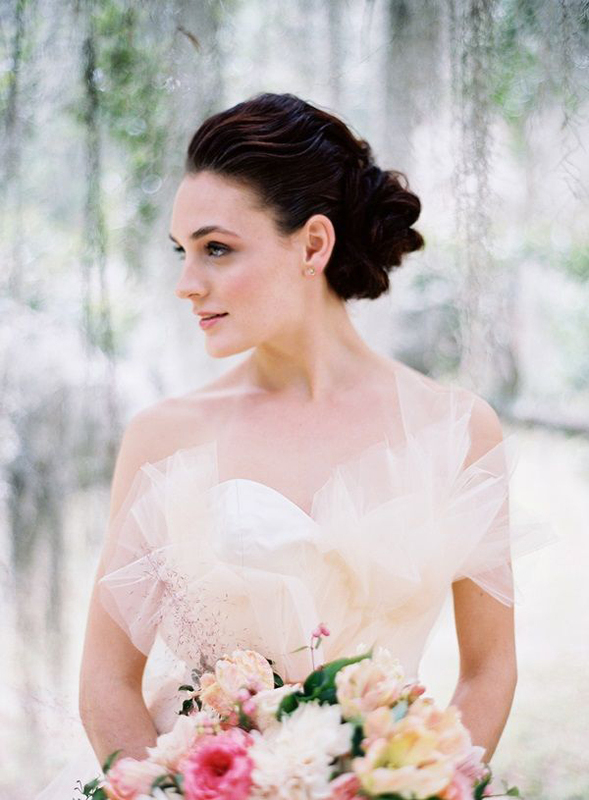 I would pick a gown with movement in perhaps a subtle shade of blush. 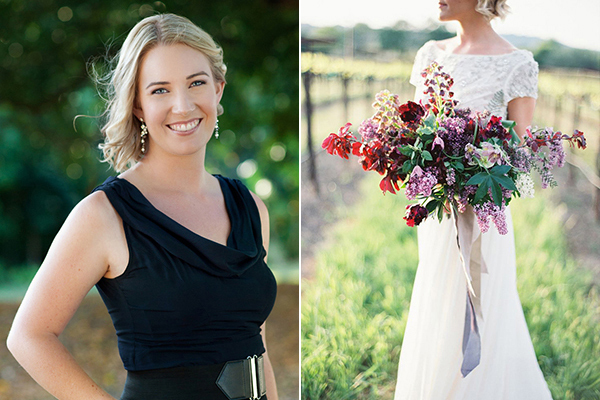 I also really love the flower crown trend so would want to wear one for the reception. I would definitely prefer a small, outdoor ceremony. 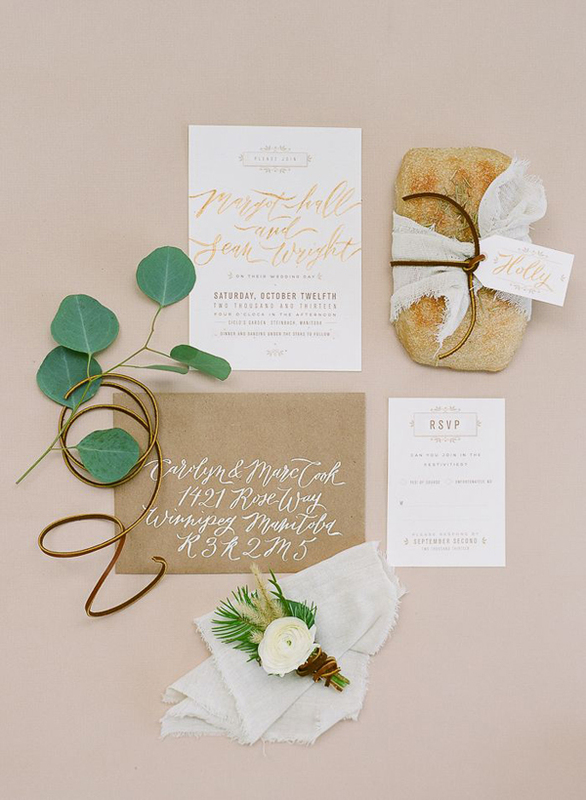 I really like the idea of a ceremony arch and calligraphy quotes to mark the aisles. As far as venue goes I think it would be fun to have a reception under an oak tunnel or on a dock overlooking the water. Wherever it is my one stipulation is lots of fairy lights above. Lighting completely transforms spaces into magical experiences and I want to create this atmosphere for my guests. I’m a Vegan and I would love to serve a locally prepared meatless meal to my guests. I know what you are thinking, something along the lines of gross – but there are surprisingly flavorful dishes out there that don’t solely involve lettuce and tofu. 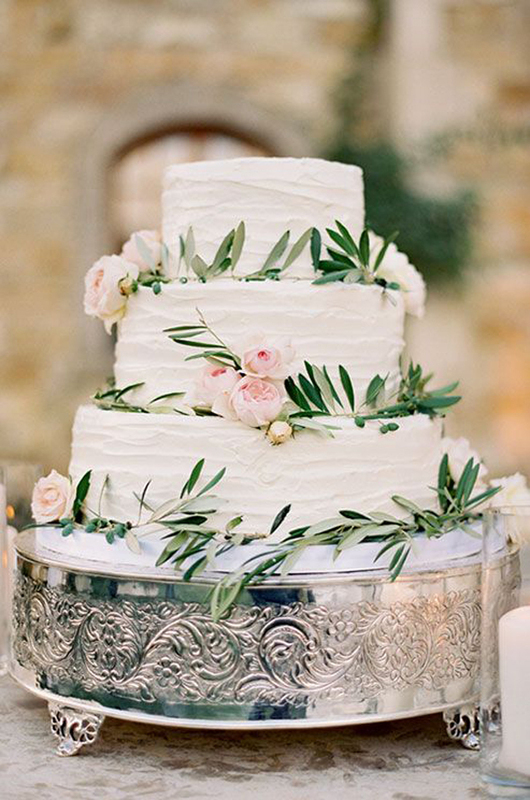 I love any excuse to eat dessert so I would have a main statement cake surrounded by an entire dessert table. We have unbelievable pastry shops in Charleston so I would use this as my chance to order desserts from every shop. The more the merrier! With a smaller guest count you can get more personalized with gifts. 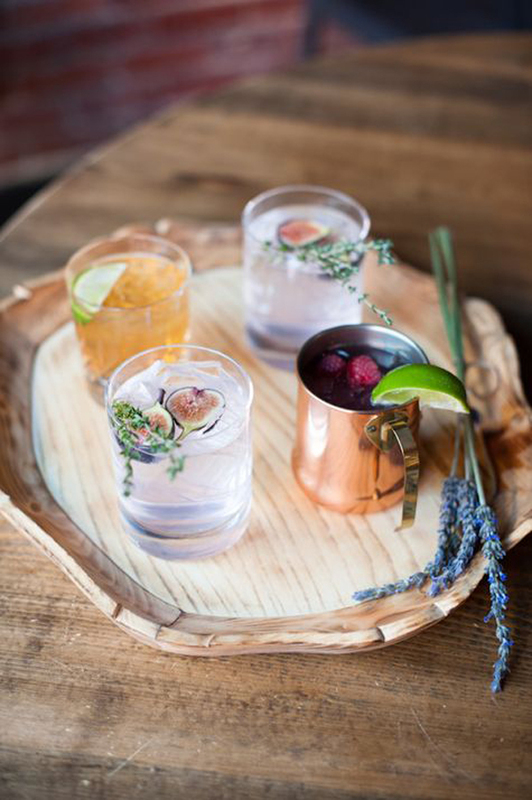 I really like the idea of giving monogrammed copper mugs to each guest or small jars of sea salt. They can be used at the wedding and enjoyed after as well. I would want to give my guests an intimate dinner party under twinkling lights with warm food, good wine and lively chatter. With a live band playing this sounds like the perfect night! 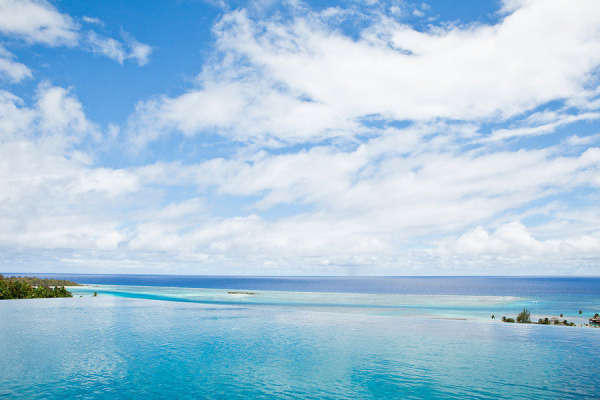 My dream honeymoon would be to the island of Moorea, part of the Tahitian island chain. I am an avid kite boarder and they are rumored to have perfect wind and wave conditions year round. Not to mention bungalows situated over pristine blue water. Honestly, if I go there I might never come back! 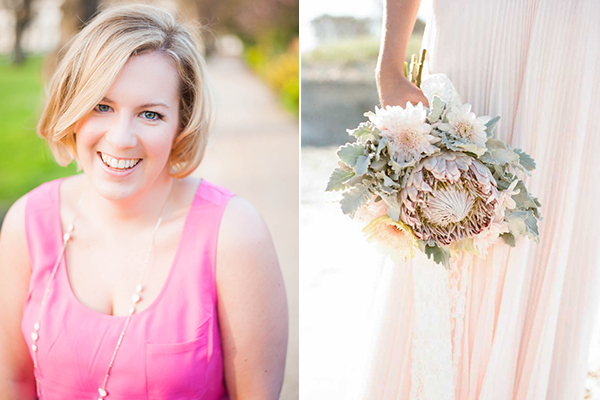 Gillian thank you so much for your sharing your intimate costal dream wedding! 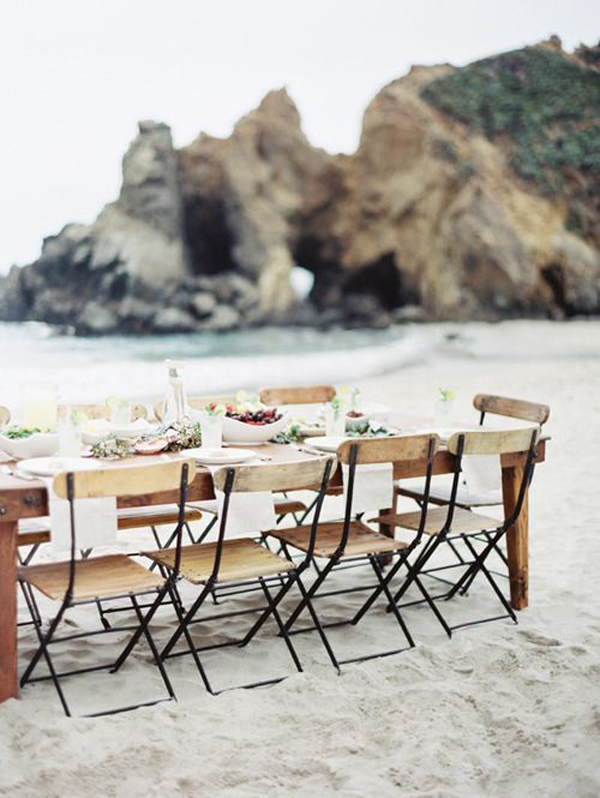 For endless inspiration on heavenly coastal weddings head on over to her lovely blog ! Thank you so much for featuring me today!! The post looks beautiful. Thank you for sharing! 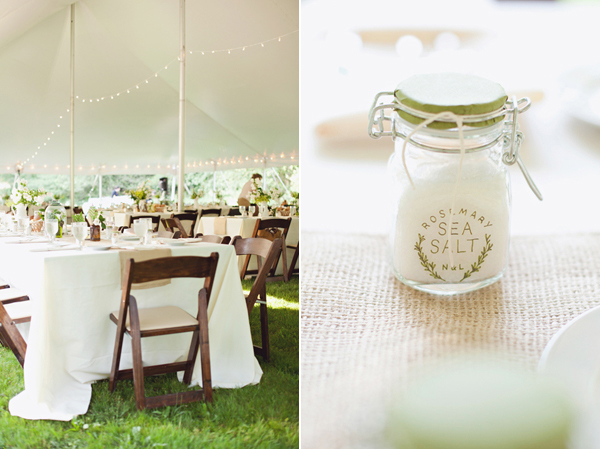 My favorite idea was the sea salt jars as wedding favors! 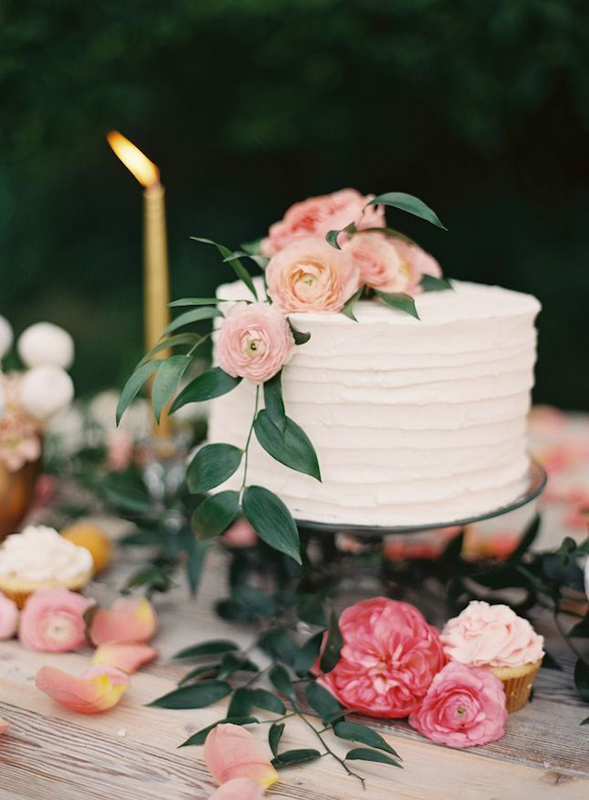 Such beautiful choices – natural, rustic and filled with wedding pretty!